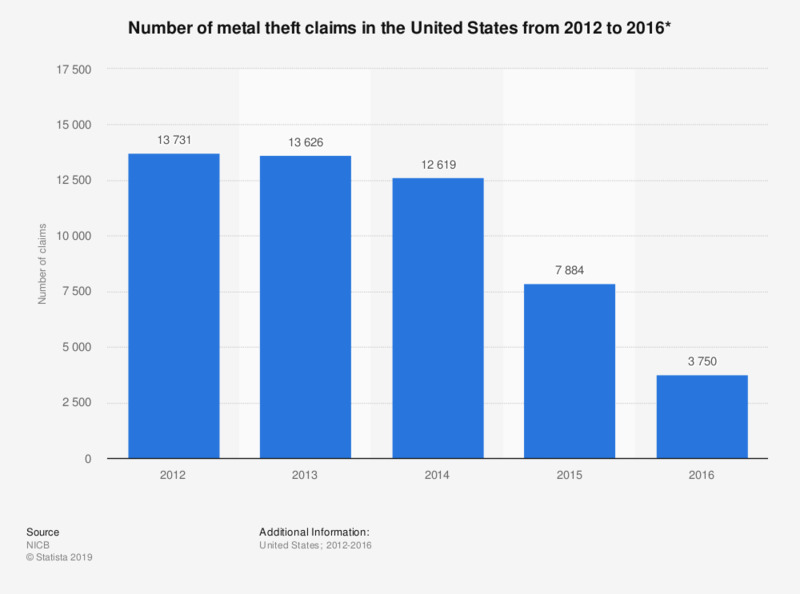 This graph shows the number of insured metal theft claims made in the United States from 2012 to 2016. In 2016, total 3,750 claims were made nationwide. Figures for 2012 and 2013 come from previous editions of the report which can be found here. Delays in reporting may mean figures are underrepresented, especially in the final year.